Mitsubishi Motor Corp has finally announced the full details of its zero-emissions i-MiEV (Mitsubishi In-Wheel motor Electric Vehicle) electric car. The i-MiEV made its first debut in the 2005 Tokyo Motor Show and subsequently shown off at other auto shows to get public response. This electric car runs on lithium ion battery to power a 47-kilowatt electric motor. A fully charged battery will enable the car to travel up to 100 miles. It takes approximately 30 minutes to recharge via the special quick charger or seven hours if using a 200 volt outlet. Even though it is an electric car, Mitsubishi doesn’t compromise on the design and features. The i-Miev comes with all the amenities available in a production vehicle, LED lighting, electrically powered climate control with air-cond, etc. 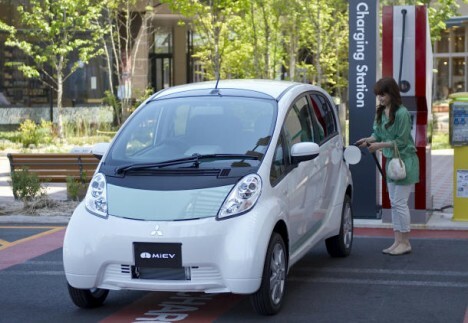 Mitsubishi in its released statement revealed that the elegant looking electric car, i-Miev, is priced at 4.599 million yen or $47,580. The car will reach the consumer market in Japan in July. Mitsubishi also highlighted that the first production will go beyond 1,400 units and target mainly corporate and government lessees. The color schemes for i-Miev will be available upon launching.